In Chinese philosophy, yin and yang (also yin–yang or yin yang, 陰陽 yīnyáng "dark–bright") describe how seemingly opposite or contrary forces may actually be complementary, interconnected, and interdependent in the natural world, and how they may give rise to each other as they interrelate to one another. From a realization of the timing that we are currently in, the reality is and has changed very significantly. If we were to depict where we are on the symbol, it seems that we are within the bottom part of the circle. We are leaving a rather dark period of time in which we felt "trapped" within our 3rd dimensional realm. We are transitioning into more and more of the light every day. Yet, we are the farthest we can be from the direct flow of pure light as demonstrated at the top of the circle. We transition into more light as we integrate what light we have already been given. And this integration takes place in a Divinely timed fashion. We must take the necessary time to process all that is being brought forth from within us to be either released and/or transmuted into the "truth" of who we are as we drop all that is not our truth and does not serve. The way we know we are truly transmuting and/or releasing what is not our truth, is when we reflect on these "issues" that are brought up and either manifest laughter or cry tears of release. When we emote these feelings and emotions that are brought to our forefront of attention, we release and free that which does not serve through these two forms. One in a joyous and somewhat lighthearted way. And another in an intense release of all that hurts and is not our truth through our tears and crying of release. We need to be kind, patient, compassionate, forgiving, loving and ever hopeful with ourselves as this occurs. Loving one's self if the first and foremost prerequisite to loving another. For the truth is that our ability to love ourselves is reflected to those relationships that we have with others. In other words, we will only be able to love others as much as we love ourselves. And if this is very superficial, then the love that we will reflect to others will be of the same frequency. When we have mastered loving ourselves within, we will have mastered loving all those without. This is Divine Love. This is the only frequency that those of the Ascended Host and Angelic realm, emit. When we see otherwise, we should reflect on what or why this is being reflected back to us. What have we brought forth that is being forced to show us what we do not want? Many times we will realize that we are merely seeing that which we do not want. And if this is the case, then we may merely "shake it off" and realize without seeing such a differing point of view, we may never have known what we don't like? And that is about the amount of time we should spend on something we know is not our truth. For, if we were to spend any more time reflecting on what does not serve, all we are doing is feeding it and building it with our own energy. Rather than minimize it and move on focusing our attention on what we do prefer to see and manifest. We are always Creating. We chose to be Divine Beings manifesting within Creation. Ever adding to the already perfect Divine Reality that Source/God has given us. Creation is merely being further perfected as we learn how to co-create as Divine Beings. Within the Yin & Yang symbol, we see a whole in the center of the light that would seem to lead to darkness, why? Well, one interpretation is that from the most powerful presence of the light, the strongest from that realm of light transition from the light realm to the dark realm to assist those from the realm of darkness without being caught up in it. These would be the Angels, the Cosmic brothers and sisters that are well beyond being influenced by darkness. All within the highest realm of God are always doing their utmost to assist all that are in darkness. Archangel Michael says that if we were to compare the time he spends assisting those beings that are "lost" within the Astral realm, it would amount to 22 hours of a 24-hour day. These are the beings that are within the Center of the light in the Yin & Yang symbol that choose to transition from this strength of light, through the window to the "darkness" from within the center of the light. For the vast majority of their time, they enter into the center of the darkness, or opposite side to be of service to all who need them. When we experienced the Harmonic Convergence of 1987, we as a people and planet chose to drop the experience that was prophesied to occur. The end-times changed. We said we preferred to transition back into our Divine Light of who we truly are. And our reality shifted. This is when we transitioned from the bottom of the Yin & Yang symbol from "darkness" back into light. By the year 2012 we were more light than darkness. This slightly more light than darkness was all that it took. For the light is much more powerful than darkness. In this version of Maya within our Universe, we had to give-up over 70% of our DNA in order to give the darkness a fair chance. This is how much power the light has. When we regained the use of 33% of our DNA, our awakening began. We once more realized that the answer to all, was our Divinity Within. Now, we are experiencing another transition. Much like the Harmonic Convergence of 1987 and the transition of 2012, we are in another "harmonic convergence." We are now in the process of the separation once more. Those that choose "love and light" and those that want further experience within the 3rd dimensional realm of duality and darkness. Be ready my fellow light workers. The awakening has been building with more and more picking up on the truth of their Divine energies. Let us be patiently compassionate as these ones need much love and light. And we are "our brothers keepers." The motto of the Ascended Host has never been so ever important. Within 2017 and 2018 we are experiencing a significant "reset." From July of this year through all of August, we will be feeling and integrating these new frequencies. And these new frequencies are the highest we have yet to have received within our transitional time of 1987 through to now. This "reset" is occurring due to the portals from the Divine realms having opened further for the "new Earth". And as Gaia transitions through the portal, we are really separating our realities even further. As this occurs those that choose "fear" will see this intensified. Those that choose "Divine Love" will see this intensified as well. There is much more occurring that we will hear about from other Light Workers, that will be synchronistic with what I speak of. More and more, synchronicity will reveal that we are manifesting this "reset" of our reality. And while this occurs, we must be the "living example" of all that we prefer, and not merely those that provide "lip service". The "actions" we manifest must match the zeal that we have had for expressing what is occurring through the sharing of "information". And as this occurs, the ability to "switch tracks" or timelines into our preferred reality will become more difficult. This is due to the momentum of the change. This change is happening more quickly than any other planet that has gone through similar versions of this experience. And this is why each and every one of us have been chosen. We are those that have demonstrated the ability to "keep within the flow" of these transitional higher frequency dimensional energies, without "wigging out". Transitioning from slightly more darkness to slightly more light. And then, the acceleration of this transition at an exponential rate of occurrence unlike any seen before. What I share now, is important to be said and much deserved. Take this in with all humility and reverence as the Divine Source of God we All are. 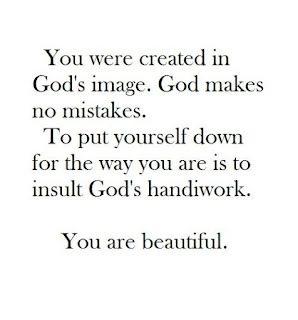 For this is not a compliment, this is Divine Truth. The Divine Love that Source Creator saw in each and every one of us, before we were accepted and commissioned for our mission is such that Creation saw that we would assure complete Victory in those most important and Divine transition. For Gaia is once more returning to her Divine role as Freedom's Holy Star. Congratulations my beloved fellow Light Workers. I am honored to have an incarnation with such loving, harmonious, beautiful, strong, compassionate, magnificent, victorious Divine Beings of Light. On a deeper level of Oneness, I know each and every one of you. And I adore and send Divine Love to you all. We are in our new home. We have done it. And my honor, love, compassion and every other Divine virtue I can think of is deserved to us all! Beloved God in me I AM. I invoke the Divine Light of purity and victory be eternally sustained within the whole of humanity. Let all of the light workers be beacons of Divine Virtues that all may draw from as necessary. Let their four lower bodies be ever transmuted of anything that does not serve through the mercy of the Violet Flame. Ever increase the Divine Light (prana) and the frequency throughout our four lower bodies of all subatomic, DNA, cellular and bodily substance. Let the bridge between the Divine Realm above and our Divine Realm here below be eternally sustained and expanded exponentially throughout the whole of both our realities, as we become One reality, in the Oneness that we are. Let the veil between our realms be transcended until it is no more. Let the permanent golden age be manifested now. And let the magnificence be ever expanding eternally. We are being lovingly embraced by the whole Divine Hierarchy. This includes our cosmic brothers and sisters that are involved at every level of this transition. The Ascended Host, the Angelic Host, the Elohim and countless others that we have yet to have even acknowledged are working synchronistically with us to manifest all the Divinity we choose to bring into this new reality. Dream big, as always my beloved brothers and sisters. We are manifesting all we dream!